Located 250 miles southeast from the major port city of Guayaquil, and the existing Sonesta Hotel Guayaquil, Loja is the capital city the country's southernmost province by the same name, which shares a border with Peru and is considered the administrative headquarters of the region. Sonesta International Hotels Corporation is further expanding its international portfolio and footprint in South America with the announcement of Sonesta Hotel Loja, the brand's second property in the country of Ecuador. Located 250 miles southeast from the major port city of Guayaquil, and the existing Sonesta Hotel Guayaquil, Loja is the capital city the country's southernmost province by the same name, which shares a border with Peru and is considered the administrative headquarters of the region. 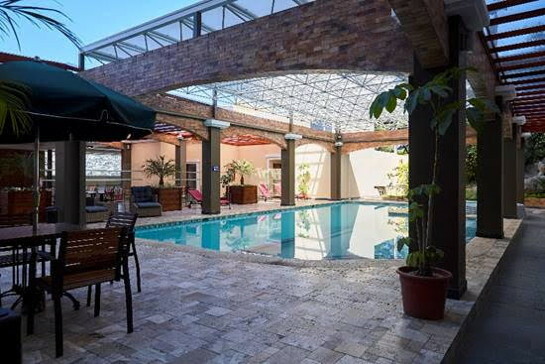 Its proximity just five minutes from the center of the city, near the Zamora River and many key attractions and businesses makes it a great choice for both business and leisure travelers. The hotel features 73 fully equipped guest rooms including four suites. Guests are greeted with a variety of on-site amenities such as a full-service restaurant, bar/lounge, deli and bakery, business center, gym, pool, hot tub, Turkish bath and steam to enjoy, relax and unwind after a day of work or sightseeing. Sonesta Hotel Loja also has four meeting rooms accompanied by attentive staff and technology capabilities to accommodate those traveling on business or planning corporate meetings and events in the area. "The addition of Sonesta Hotel Loja to our global portfolio helps to contribute to our ever growing presence in South America," said Carlos Flores, President and Chief Executive Officer, Sonesta International Hotels Corporation. "We look forward to bringing our Sonesta level of service to guests in Loja, Ecuador." The guest experience at Sonesta Hotel Loja is enhanced by the authentic hospitality that Sonesta brings to each of its properties. The personal services and warm, attentive staff are dedicated to meeting individual guests' needs, from those at leisure looking to check in and "check out", to those on business who need to stay "plugged in", productive and connected. Sonesta Hotel Loja marks the brand's 16th hotel in South America, under the management of GHL Hotels and is the latest property eligible for travelers to earn Sonesta Travel Pass Points, as a part of Sonesta International Hotel Corporation's overarching guest loyalty program. Sonesta Travel Pass Members earn 10 points for every dollar spent on a qualified room rate at participating locations, including all North and South American locations. Are you with Sonesta International Hotels? If you are a member of Sonesta International Hotels you may be interested in learning how to optimize your content on our network.